The office peon’s magic hour. Can you fly kites? If not, be envious of kite-flier Mr Raja. His family runs a tea stall adjacent to an unknown tomb in Nizamuddin Basti, a neighbourhood that’s older than Old Delhi. Above this stall is his house, and above the house is his rooftop, where I’m right now, tapping this piece. Mr Raja is standing next to me, flying his kite. While still in his night pajamas, he is acting like he is the king of his rooftop, fully focused on his kite, which is… where? In front of him is the roof’s parapet. 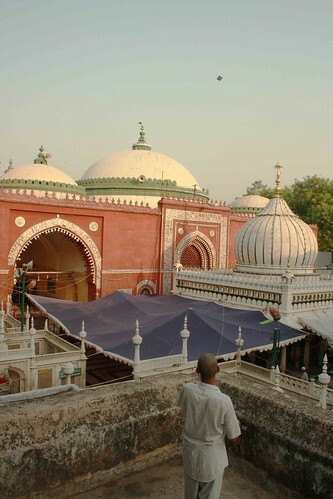 Next to the parapet is the dome of Hazrat Nizamuddin Auliya. Next to the dome is another dome. Beyond is the Basti’s skyline (full of domes). Further, a glimpse of the five-star Oberoi Hotel (it has no dome!). But where’s the kite? 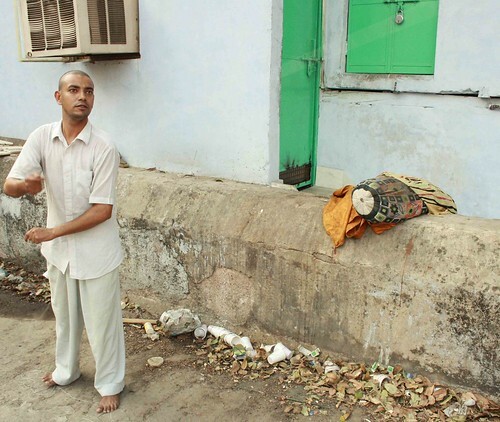 I follow Mr Raja’s eyes and there is the patang – a black speck that I thought was a bird. 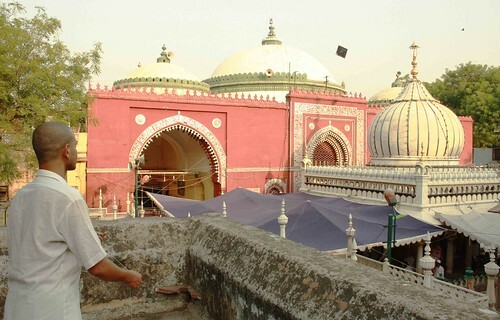 See, the kite is soaring up there like some slow music, then down, then up, behind a tree, next to a window, coming closer, above the Hazrat Nizamuddin’s dome, oh, an eagle flying past it, the kite very close now but phurrr, going further again. All this while, Mr Raja is concentrating on the kite. His eyes darting right, left; his right hand yanking the dor; his lips half-open; his forehead wrinkled like that of an India International Centre intellectual. Who can believe that this kite-flier is an office peon in Nehru Place? The youngest of three brothers, Raja is waiting for them to get married soon so that his turn comes. 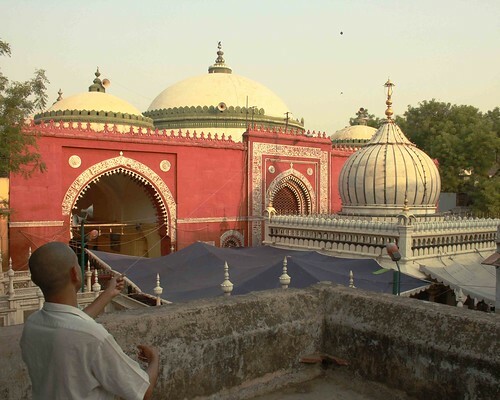 However, at the moment, the dream bride is not on Mr Raja’s mind – he is again bringing the kite close to Hazrat Nizamuddin’s dome. Look, it is right over a courtyard, but lo, going away again and suddenly… “Raaaajaaaa”. That’s Mr Raja’s mother. Her call means that the morning is ending, the breakfast double-roti has to be brought, and, oh God, someone has to go to Nehru Place to do a day job. So, patangbazi over. 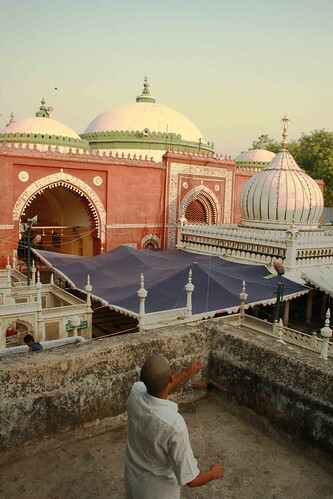 Mr Raja is climbing down the roof; the high-flying patang is lying flat on the roof’s floor, as lifeless as a dead bird. Delhi is so hot at this time of the year. We are actually looking forward to a dust storm. Notwithstanding the extra work it creates – dusting, cleaning, washing, vacuuming. The dust hangs in the air, partially blocking the sunlight which is so welcome. It is best to stay indoors and stay hydrated at this time. Green Mango squash with salt and cumin is the drink of the season. If you splash your varanda with water in the evening, it bring down the interior temperature by a few degrees. That reminds me – I was watching a program on TV about the Arabian Oryx. The creature is the only mammal able to withstand body temperatures of 45 C. It has evolved a mechanism to cool the blood in its nasal passages, which is circulated to its brain so it stays cool. The oryx too relies on dust-storms to occur intermittantly to keep summer temperatures down. Summer holidays are on. Children usually attend swimming classes, or join hobby courses. Those appearing for board exams attend tutions. Others head for vacation destinations. The university crowd gets busy with the admission process. There is a judo-karate master in our colony who teaches the martial art to children in the evenings. There are also yoga classes for people of all ages. June end and the coming of the monsoons opens another chapter in the seasons of Delhi. That’s such a sweet little article. I just watched the movie Kite Runner at the weekend and it’s great to see people flying their kites off the rooftop … :o)) Keep writing like this. You busted into someone’s place at 6 in the morning?! Below the belt but totally worth it! I recently came across your blog and have been reading along. I thought I would leave my first comment. I don’t know what to say except that I have enjoyed reading. Nice post!! I love kite. Thanks so much for sharing.